This was one of my all time favorite brochure designs. 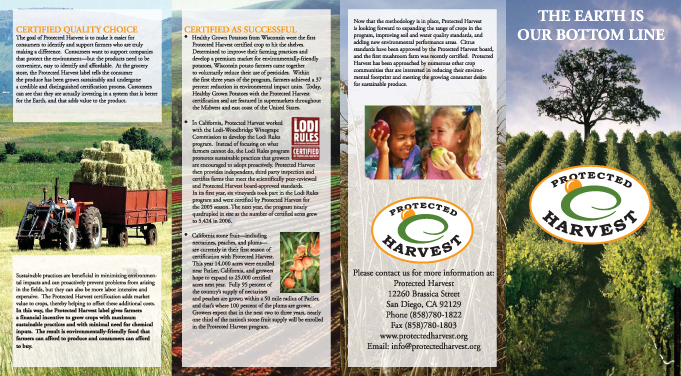 I worked with KP Public Affairs' client Protected Harvest to create this four panel brochure. 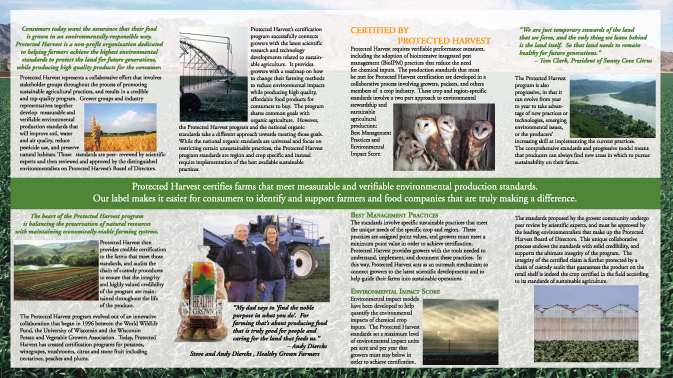 It was wonderful to have a variety of professional photographs to work on this project which really made this marketing piece pop.